Point2 Homes gives you far more than a simple list of houses for sale. 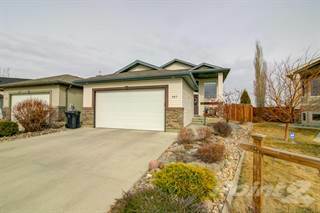 Get instant access to a lot of relevant information about Lethbridge, AB real estate, including property descriptions, virtual tours, maps and photos. The search results pages also have a wealth of information on Lethbridge, AB, if you scroll all the way down. There are 738 houses for sale in Lethbridge, AB. 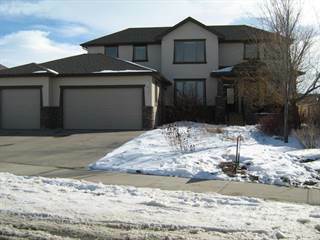 Searching homes for sale in Lethbridge, AB has never been more convenient. 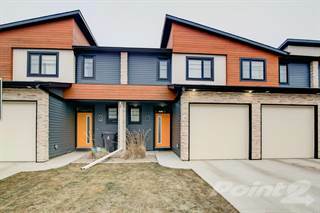 With Point2 Homes, you can easily browse through Lethbridge, AB single family homes for sale, townhomes, condos and commercial properties, and quickly get a general perspective of the real estate prices. Also, you’ll never miss a bargain if you filter listings based on house price drops in the past six months. Use the map view to find Lethbridge, AB homes and apartments for sale, based on amenities or city features that you may want close by. You can close in on a specific neighbourhood or area by simply drawing around them with the polygon or radius tools. Stay informed about the latest entries on the real estate market by saving your searches. This way, you get new listings in your inbox, daily or every week, based on your preferences. If you’d like to get in touch with a professional, agents are displayed next to their listings, and they’re easy to contact through the online forms. If you want more options, you can click the Tools tab and Find an Agent, and you’ll get a list of helpful and knowledgeable real estate agents in Lethbridge, AB. Visit the Point2 Homes blog and you can find up to date expert advice on many markets throughout Canada, regular market reports, neighbourhood scoops in cities throughout the provinces, real estate deals and useful recommendations. Lethbridge is a city located in the southern region of Alberta. It is one of the largest cities in the province with a population of around 105,000 people and occupies a total land area of roughly 2,900 square kilometres. It is said to be one of the windiest cities within Alberta, and also one of the sunniest with more than 320 days of sunshine per year. Lethbridge is currently a major hub for the commercial, transportation, and financial sectors. According to economists and business experts, Lethbridge is in a period of economic growth and development. With that being said, many of the top employers are based in government and health care. Unemployment rates are also well below the national average, which means that the labour force is being put to good use. Lethbridge has also become a hotspot for starting a business or expanding a current business to have operations in this city. With zero taxes paid on business, machinery, or payroll, this city provides the low-cost operating environment that entrepreneurs and small businesses have been searching all over the country for. Combined with an extremely supportive community through networking events and conferences, any business person will feel more than welcome in Lethbridge. The city of Lethbridge is home to several culture and art exhibits that pay tribute to the multiculturalism and ethnic diversity existing within the city. A unique exhibit that is worth your while is the Nikka Yuko Japanese Garden. This is a traditional Japanese garden that grows Japanese flowers and is built based on architecture that was prominent in Japan several centuries ago. If you’re more interested in learning about Canadian History, visit the For Whoop-Up National Historic Site. Here, you will learn about the firearms and whisky trades that were made with First Nations cultures back in the 1800s. For the more active tourists amongst us, there are several hiking trails that are available. Shopping enthusiasts should find the Park Place Mall and book a day off for nothing but browsing. With numerous big box chains, a cinema, and several places to eat, you will find yourself running out of time to see all the stores that you wanted to see! Lethbridge is made up of three different sections: North Lethbridge, South Lethbridge, and West Lethbridge. Each of these sections are geographically separated from one another by the Crownsnest Highway, CPR rail line, and the Oldman River. Each of these geographical areas consist of several smaller neighbourhoods that share similar enough characteristics to distinguish these areas from a real estate perspective. There is a lot of green space present within these communities, providing a special kind of atmosphere that is warm and welcoming. North Lethbridge is rural in nature, which results in quiet neighbourhoods that are far removed from the chaos of the downtown core. This means that activities and amenities within this area includes hiking trails, open parks, ponds, and community centers that are used for sports and group activities. West Lethbridge is an area that is mostly suburban in nature thanks to recent housing developments. While it is far removed from the other two sections, its proximity to major roads and highways make commuting a breeze. Amenities in this area include several smaller shopping districts and recreational sports complexes that are open to the public for all ages. It is also home to the University of Lethbridge. South Lethbridge is the most densely populated of the three areas, and also happens to host the downtown area. Most of the major commercial and healthcare establishments can be found here, along with all of the major shopping districts and restaurants. Some of the amenities that you can expect to find in this area include casinos, sports bars, cinemas, golf courses and cultural museums. North Lethbridge is the most rural geographical area of the three mentioned, and this is best reflected in the old fashioned design of the homes. The properties are fully detached residential houses that are suited for small families both in size and in price. Fortunately for the residents of this area, commuting to South Lethbridge only takes a few minutes. They get to enjoy a busy career without taking the noise home with them. Because West Lethbridge is a suburban community, it is mostly comprised of fully detached residential properties and fully attached townhomes. Depending on the neighbourhood you look at, there are also some low-rise condominiums and rental apartments available. Most of these homes are very affordable, which makes them suitable for individuals and families who want to have a nice-looking home without breaking the bank. South Lethbridge, being near many of the city’s commercial developments, has a very competitive real estate market. You will see many of the types of homes mentioned in West Lethbridge but with higher price tags and modern designs. Additionally, you will also find bungalows and mansions that take up several thousand square feet with the house alone. These houses are best suited for high net worth individuals, wealthy or large families, and young professionals. The following table, based on data taken from the Canadian Real Estate Association (CREA’s) National MLS® Report for April 2016 (the latest information available), demonstrates how homes in LSTAR’s jurisdiction continue to maintain their affordability compared to other major Alberta and Canadian centres. The only two post-secondary institutions present in Lethbridge are Lethbridge College and the University of Lethbridge. The former offers diplomas, apprenticeships, university transfer programs, and the opportunity to learn a skill or trade. The latter specializes in scientific research and is internationally recognized for the work that has come from its researchers. Lethbridge is home to 12 public elementary (K-8) schools under Lethbridge School District No. 51 and 6 Catholic elementary schools under Holy Spirit Roman Catholic Separate Regional Division No. 4. Some of the higher ranked schools include Lethbridge Christian, Sunnyside, Immanuel Christian, and St. Mary.